Have you ever dreamed of travelling on someone else’s dime and writing articles that actually pay? We all start out small, maybe writing for free until we build up our portfolio but we must get to the point when we know our writing has to have a monetary value. This interview in the newsletter gives us some simple tips on how to get started. TRWTT: What was your article about? more manageable. I thought I could finish it faster and get my byline. TRWTT: How and where did you get it published? first thrilling byline. And I’ve been hooked ever since. trips and excursions tossed in for free. TRWTT: How do you go about securing discounted travel and perks? not to travel during peak seasons. “America’s Little Switzerland,” where I have been going for 20 years. — and was distributed in nine countries. flow, then go back and finesse. TRWTT: Where are you off to next? this looks to be a dream trip. If Ginny can do so you can you. 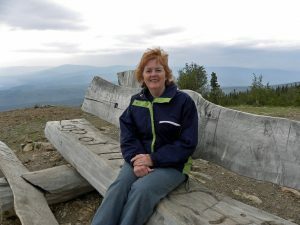 I went on my first “fam” / familiarization tour this year, all expenses paid to Dawson City, Yukon. Yukon Tourism treated the three of us travel writers like royalty. From it I have contacts for more articles, contacts for my book launch up there next summer, and a better idea how this works and what is expected. I want more! Happy writing and raising the bar on your own expectations! article. Here are five of the most popular types. because people love to find out how to do something. or illustration if the publication allows it. information, and is one of the easiest types of article to write. – The list; each item may be a paragraph or two. articles on faith and religion, and self-help articles. David Goldsmith is the author of “25 Ways to Write for Money”. Discover multiple ways to grow your freelance writing business. Summer is finally here, and with summer comes sunshine, warm air and the open road. For many people, summer is all about RVing and the adventures ahead. 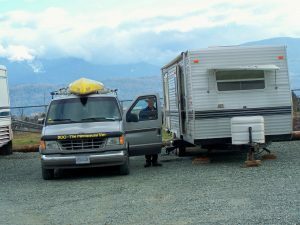 For RV enthusiasts that may have picked up a new puppy since their last trip, it is not uncommon to feel anxiety towards taking your new dog with you RVing. After all, puppies are delicate animals and the road can be difficult even for seasoned travelers. This should not discourage you from taking your puppy on your next RV trip, however, as it can be safe and enjoyable for everyone involved. When taking your puppy on an RV trip, it helps to have an idea of what you will be doing with the dog for fun, as dogs – especially puppies – can get extremely restless if not exercised on a regular basis throughout the day. Taking this into consideration, you may want to plan ahead and make a list of outdoor dog parks that run along your route, as this can be a great way to give your puppy his or her own little vacation. Touring dog parks can be great fun for both the dog and the family, and is completely free. It can also give you time to stretch and clear your head before heading back out on the road. Another great way to help your dog let out some energy is to stop at rivers and streams along your route, as puppies love to swim. While you must use caution (IE skip the large lakes, always use a leash), allowing your dog to swim while under your control can be a great way to both occupy and tire out your puppy rather quickly, ensuring a restful ride in the RV. Remember that your puppy is somewhat of a fragile animal, and most be shown significant, personalized care throughout the trip. Always make sure your dog has cold, fresh water at all times, as dehydration – especially in the summer – can jeopardize your dog’s health. Be sure to check for bugs and ticks if the dog runs through wooded areas during your trip to avoid bringing them into the RV. Also, be mindful of your puppy’s time in the sun – if it’s too hot, bring the dog inside. Finally, always make sure the dog gets exercise every two hours or so to prevent restlessness and over-excitement. Article submitted by Victoria Knight from Pet-Super-Store in Victoria. Link below. A series about our 2009 northern trip started June/July 2009 and continued for the following months: Aug/Sept/09, Oct/Nov/09, Dec/Jan/10, and Feb/Mar/10. Click on the month and “turn the pages” until you arrive at the article. Stay tuned for April/May/10 issue. 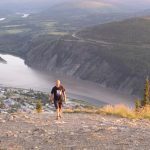 Although previous 2007/2008 articles may not be in their archives, the latest one for Jan/Feb/10 titled “20 Must-Do’s in Northern BC, Yukon and the Northwest Territories” is online. Go to articles and issue #133 Jan/Feb/10. 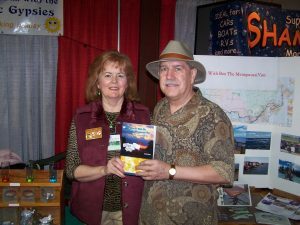 Barb and Dave Rees left their home in Powell River, BC, May 26, 2007 on a working holiday, taking Barb’s book RV Canada On A Dime And A Dream on a cross-Canada tour. Their working holiday took them to farmer’s markets from coast to coast, travelling in their temperamental van named “Boo” pulling a 27-ft.trailer. Good looking cowboys, bucking broncos and the announcer yelling, “He’s holding on, no he’s off!” The stands erupted with cheers at the Double “B” Beausejour Rodeo. On Sept.6 I’d cheered “Manitoba! Only three provinces till home!” We took #12 south to Steinbach heading for the next market at 4:00 p.m.
A Mennonite market with lots of fresh produce and shoppers chiefly interested in produce meant one book was sold. A kindly couple gave us a jar of honey to sweeten our day. The next morning at the library we searched online for a rodeo, and found Beausejour Rodeo who accepted us with three days free dry camping. We left Steinbach in a windstorm, heading north to Beausejour. Because we took the “scenic route”… known as getting lost, we found the Great Woods Park and Campground where we dumped and filled our water. The Beausejour sani-dump is behind the rodeo grounds. And that’s how an old Calgary Stampede girl like me came to be surrounded by cowboys, horse trailers, and cowgirls. Next to us a couple groomed 2000 lb. Percherons. The farmer’s market was inside a big chilly barn. A $2. pancake breakfast started the day with families in cowboy hats discussing livestock problems. At 10:00 a.m these hardy folks held a big parade with floats, horses, clowns and antique tractors with antique drivers. At the market we realized people weren’t there to spend money. They were there to see a rodeo so once the rodeo started that was the end of any sales. By then our neighbors, Ron and Maxine the fudge makers had moved outside and invited us to put a few of our things on their stall. Suddenly my Dad’s rodeo photos from the 70’s attracted the cowboy’s. One said, “They aren’t going to believe I found these after all this time. Do you have one of my grandpa Harry Dodginghorse?” When I asked Dad he laughed, “I often covered the rodeos he was at.” Soon we had a crowd of cowboys sorting through photos and an hour later we’d sold 22 pictures. The finale to our day was the sky exploding with fireworks and our neighbor letting us plug into his generator. The next day we moved everything outside with the fudge-makers. In the flow of traffic we talked to many people and watched the rodeo too. I tried my hand at taking bucking bronco pictures while the announcer kibitzed with the clown. We had so much fun, met new friends, and sold Dad’s photographs. By 5:30 p.m we left for Winnipeg. Following the perimeter road took us around Winnipeg to Portage la Prairie. West of Portage on the Trans Canada is a Flying Jtruck stop, a good place for RV’ers. Our first stop in Portage was the dump station. We settled into the line-up and then watched the guy ahead of us grab the ‘potable water’ hose and use it to rinse his black water hose. Yuk! When we pulled up we were all shaking our heads, so I got bleach from the others to disinfect the hose. Lesson: Carry a spray bottle of bleach water or spray can of Clorox to disinfect the water hose before using. We found the Wal-Mart mall on the highway devoid of other RV’ers and settled in for a peaceful night. Not! It sits in between four train tracks! But we had a very relaxing evening reminiscing about our gypsy adventures. 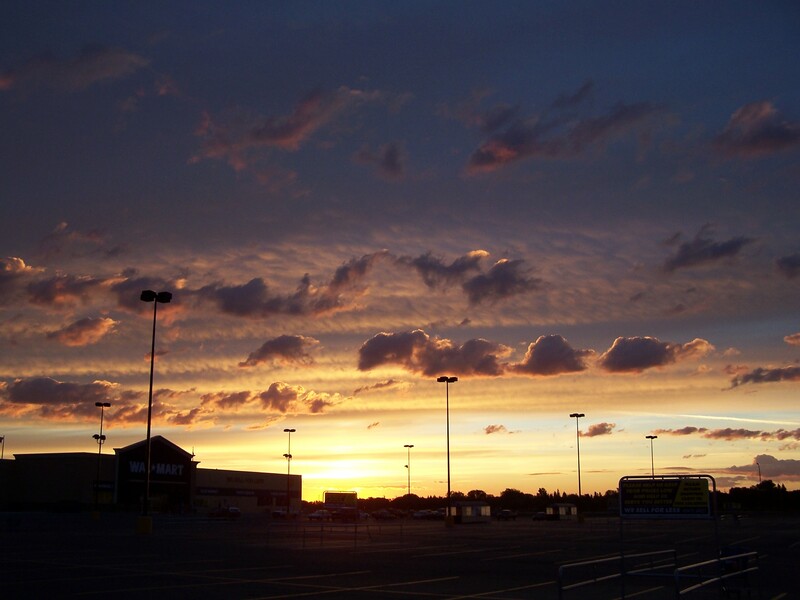 .Next morning a spectacular sunrise spread gold’s and mauves over Wal-Mart. There I stood in the lot in my old blue housecoat taking pictures. After breakfast we fueled up before we visited Island Park and our favourite trees. “I’m back,” I said to the ‘elephant feet’ trees whose character I fell in love with four years ago. The Brandon Tourism office is off the Trans Canada in the Riverbank Discovery Centre. Lois told us about the cement igloo outside called the “ecodome” built from sandbags by university students as a demo emergency hut. By then the winds were fiercer than ever so we took cover at Meadowlark Campground and RV Park. We enjoyed being set up with all the amenities and WIF for $27 …including Oprah! 9/11 – I always wake on the anniversary of this date thinking about the terrorism which changed the world forever. I sat in my safe little home remembering. No one knows when our loved ones will be taken away. First stop was the new Wal-Mart for a spray can of Clorox. , then #10 South. After vast expanses of ripe sunflowers, we hit Souris and didn’t stop at the agate pit this time. We were so thrilled at “Welcome to Saskatchewan” we opened a package of Twizzlers to celebrate! In Carlyle, our friend Judy was glad to see us and interrupted her work to put tea and coffee on so we could catch up. Later we settled at the Weyburn Wal-Mart located on the west end of town between the #1 highway and a train track, but fairly quiet. While taking a sunset picture I paused to remember those who never saw another sunset after 9/11. Sept.12 and off to the Weyburn Pubic Library to collect our email. A one ton 13’2” diameter wheel celebrating their history hangs on the library wall. Ogema, a little farm town has a camp ground so we pulled in for lunch and the sani-dump. It offers all the services but the water tastes awful. We’ve learned to taste the water before we fill up the tanks with ghastly water. I started calculating how much we saved by making Dave’s coffee. Every morning I’d make a thermos of coffee for the day. We reckoned we saved close to $1000 towards Boo’s fuel. In January 2007 CBC radio interviewed me about my book. In Mackenzie people heard it and told their friends Diane and Grant who searched CBC archives and emailed about the book. We became good “e-buddies.” Then they moved to Mankota in southern Saskatchewan so that’s where we were headed to see Diane in the hospital. Later at the hospital we meet our friends. “Imagine you coming all this way to see me”. Dave and I felt like we’d known them for years. We head north for Swift Current and our next market. Swift Current with 2374 annual hours of sunshine has grown up. They now have a new Wal-Mart mall, but we head up to the Wheatland mall where the market will be held the next day. Soon we were parked at the back of the mall overlooking the valley in what became “our spot” four years ago. The wind rocked the trailer all night long. After breakfast we set up in the mall among Hutterites with many tables of produce. I watched a lady walk towards us and point at the poster for Dad’s rodeo pictures. “ I know this man. He’s my brother-in-law.” I just stood stunned, “You do?” As my mind raced to think who was related to Fred Kobsted, I blurted, “Who are you?” “I’m Shirley Millis,” she said. It hit me. She was my Mom’s brothers ex-wife …he died years ago. I walked around the table and put my arms around her in tears. “I’m Dorothy’s daughter, Barbara.” Then we both cried. What a beautiful gift to meet an aunt I never knew and find out I had a cousin close by. Shirley lives in Prince Albert and was down visiting her brother adding to the chances of our meeting. Sales weren’t great but I had enlightening conversations with the Hutterite women from the Main Centre Colony. Without TV, radio, computers or divorce they are happy. If you want to meet the locals and get a feel for the area, sell at farmers or flea markets, and it helps with gas. Shirley brought her daughter Kathy over who invited us to dinner. Sept. 14: We enjoyed tea and coffee in bed looking at the map of Canada with our highlighted route. Imagine how much we would have missed if we hadn’t dared to live the dream? I took my prescriptions to Wal-Mart to be filled, something we can’t do in Ontario or Quebec without going to a clinic. It’s a good idea to stock up and keep the empty bottle when you do need the order filled because of all the information. At the end of the day we went to my cousin’s ranch at Success. Her husband Rick, says that their ranch of 900 acres is nothing by Saskatchewan standards. A sunset drive after dinner gave me great pictures of an owl and a sunset that seemed to last forever. Sept.15: Around us Hutterites joke with customers, old timer’s slap each other on shoulders, children vie for attention. The best part was Diane and Grant coming up from Mankota to have dinner with us. After they left, the wind died down so we could sit outside listening to meadowlarks sing and enjoy the valley view. A.L William’s said, “We perform best when we have a crusade because it adds meaning and purpose to life. Crusaders have inner strength, and carry on when others quit.” Our trips are crusades not just tours because we inspire others to follow their dreams no matter their circumstances. The latest article found in the autumn/09 issue 011 was from our northern trip up the Dempster Highway. Greetings from the way far north! We are at day 25 of our four month book tour/exploration of Canada’s great far north. We’ve been in Whitehorse, Yukon for four days and leave tomorrow for Dawson City. What a vast land this is where there are more caribou than people: 165,000 to only 32,000 people. All that contributes to expanses of quiet wild beauty. So far we haven’t seen any grizzly bears but as we head farther north we are bound to. 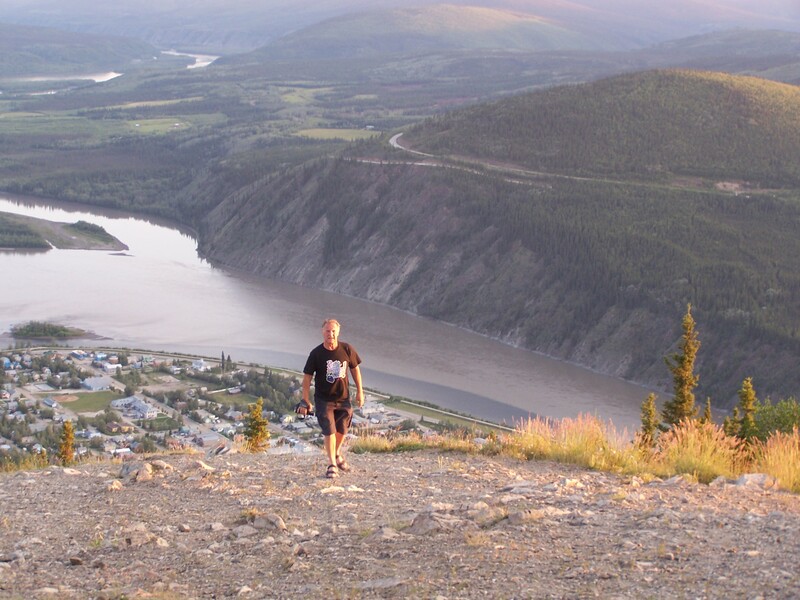 The Yukon river is an incredible green that the Yukon River Quest paddlers tackled yesterday. 170 paddlers in 77 boats set off from here destined for Dawson City on their 750 km quest. As a travel writer many opportunities have opened for me. I am so priviliged to have the best of both worlds: write and travel while making an income at the same time. Watch for articles in Sun Cruisers RV magazine, Whispering Winds, RV Times and anything else I can find. RV Canada with Boo the Menopausal Van is getting lots of exposure thanks to the sign on Boo’s front: Boo the Menopausal Van. We’ve been stopped at gas stations to sell books. Flag ladies just grin at us as do anyone standing on the streets. We are having such fun exploring and learning so much about Canada’s early literally ground breaking history. This is the land of gold miners and the famous Alaska Highway. When we get to internet we’ll be updating. We are following our dreams all the way to Tuktoyaktuk July 12. We will be standing at the Beaufort Sea sharing our blackberry wine with someone just like we dreamed it would months ago. Hard work,determination and courage is all it takes. Keep following your dreams and never give up. July 11 will go down in our history as a very memorable day. It was the day we took a river boat tour up the McKenzie 180km to the Arctic Ocean.We did see two grizzlies on the river’s shore and got wonderful pictures. Our dream destination Tukotoyaktuk which sits at 69 degrees north. By then we’d already crossed the Arctic Circle at 66 degrees by travelling up the northernmost highway in North America, the Dempster. It is 760km of gravel and spectacular scenery. But I digress that’s what got us to Inuvik, NWT where we hooked up with Up North Tours, Kyle and the guys who are so accomodating and knowledgeable. In Tuk with our guide Boogie,we took our Powell River water and standing in the Arctic Ocean we poured it and refilled it to take back home. We hauled our bottle of blackberry wine all the way up there but never got a chance to share it so that had to wait till we were back in Dawson City. I could hardly believe I was standing there in this totally differnt world of cold, no trees, sewer and water lines above ground, 24 hour sunlight, hunting whale and polar bears as a natural way to feed families, and pingos. What an eye opener! We flew back to Inuvik over the pingos which are giant pyramids of permafrost pushing through the ground. In Inuvik we had a private tour of the famous Igloo Church built in a style that defied tradional building by putting down a foundation which isn’t done because of the permafrost. The day was capped off when we attended the Great Northern Arts Festival cultural ceremonies. Watching the drum dancers, throat singers and whip artist demo made us feel like July 11 was a perfectly rounded day of really seeing and feeling the far north culture. But now we are starting to backtrack from Whitehorse to Watson Lake, we are discovering yet more beauty. We’re currently in Carcross, Yukon and the smallest and most northern desert in the world. Majestic mountains and blue lakes abound. Everyday we meet new people, learn more history, inspire and be inspired. This has been a journey of rediscovery of what is really important to Dave and I: keep it simple and enjoy each other without distractions and stress. Once again, as we did in our two previous adventures we are rekindling the depth of our love for each other and this great land we live in…and life in general. Shots of Boo at the Chilliwack RV Show and from the book launch. 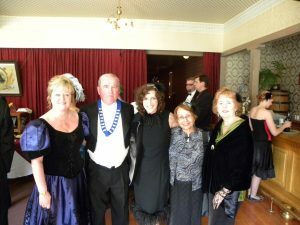 I’ve been a member of Sunshine Speakers Toastmasters for almost eight years. It has changed my life in so many ways: increased confidence, better communication and leadership skills, and given me the courage to believe in myself so I can make my dreams come true. But nowhere is it more valuable than in my life as an author. I know that writers typically would rather hide away in their room and write instead of standing in front of people talking. When the presenters at last year’s Festival of Writers both told the participants they should join Toastmasters, you could see the fear on many of their faces. Yet from that one brave lady/Donna who is serious about her writing took the plunge and joined. She gave an amazing first speech(Ice Breaker) last week. If an author is going to sell their books to other than their friends and family then sooner or later they will be required to make a clear, passionate speech about their book. And I don’t mean just stand at the front with your head down and drone on reading page after page . . . boring! I’d rather eat glass than suffer through such a presentation. That’s where Toastmasters come in. I know I wouldn’t be speaking in front of hundreds of people milling around at an RV show were it not for Toastmasters. Yet for the third time that’s what I’ll be doing Mar.19-22 at the Chilliwack Humdinger RV Show, twice a day. Everytime I’m talking about my books, I give thanks to all I’ve learned from Toastmasters. A side benefit is the warm circle you find yourself in where you can promote your book. I gave a speech last week about our trip to Newfoundland, using my latest book as background. I know I will have sales from it. Have you dreamed of seeing your writing in book form?Does it seem so very far away? We’ve moved past the old stigma that said the only way to be a “real” author was to send out your manuscript endlessly until someone somewhere decided you were good enough to publish. Those days are gone as we’ve moved into the era of quick, quality digitally printed works. This is my third self-published book in seven years so I figure I’ve learned a thing or two about the process. But let me tell you right off the bat: It’s NOT for the faint-at-heart or the uncommitted or the lazy. If this describes you, stick to writing for pleasure . . . nothing wrong with that. But if you’re willing to leap off the cliff of dreams coming true and have the faith you will grow your wings on the way down, then read on. My first book “Lessons From the Potholes of Life”:I knew nothing about publishing and little about how to lay out a book so I hired a local desk-top publisher to do the whole thing. All I had to do was type and give him ideas and he made it look pretty. I didn’t know I needed an editor. I thought he did that . . . wrong! Although people loved the book, there are many errors in it and it wasn’t cheap to produce. But the worst was finding out he never kept the files. Now it’s out of print, I have no files from which to produce another printing . . .grrr! Lesson #1: Always use an editor to clean it up after you’ve had several people read it for you. Always keep your files. You own them, not the person you hired. Lesson #2: Shop around for the best publisher or print on demand company. Ask other authors for their experiences. My second book “RV Canada On A Dime And A Dream:” By this time I decided I needed to learn how to format my own book , really self publish, which I did using onlyMicrosoft Word. I hired someone for the cover design and had the manuscript proof read before going to an editor. I produced a professional looking book that sold well in a niche market. Lesson #3:Unless you have Photo shop or some other fancy program, hire a cover designer. It’s the first thing people see and can make or break a sale. Lesson #4:Find your niche and work it. 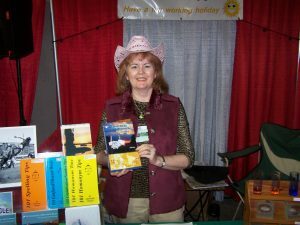 Because I’m an RVer and speaker, I found my niche at RV shows and writing for RVers. My latest book “RV Canada With Boo the Menopausal Van:”I’ve progressed to being able to layout photos in the book. I found a great editor, Lewis Mattox online because I joined Linkedin site. I networked with anyone I could talk to so I found an old school chum, Ole Neilson who does cover design. In my writer’s group Susan Litke, a wonderful illustrator did the cartoon for the cover. Because I was looking for the best price for printing I met Craig at Island Blue Print who gave me a fabulous price, excellent service and quick turn around time. Lesson #5: Network everywhere and all the time. Join a writer’s group. Go to writers’ festivals. You never know where your support or business link will come from. Hand out cards everywhere, and keep cards for referrals. Lesson#6: Both RV books are 6×9″ , 240 pages and under 500 grams so they fit through the mail slot that keeps them under the parcel post rate. They ship for $2.78 anywhere in Canada. That would be closer to $8 if they were over. Besides it keeps the overall price down so I can sell them for $20, a breaking point where people don’t have to think too hard about purchasing. Lesson #7:Once you start on the manuscript, set yourself a timeline with set dates to reach for. Without a goal date, you could wander around the forest of procrastination and fear forever. I set myself a time line that worked back from when we wanted to leave(June 1) on the book tour. I knew I had to have the rough draft of the book done before Christmas08 and I did. The result? My book will be launched Mar.19 at the Chilliwack RV Show, a full two months ahead of schedule. To be out from under the stress in a short period of time feels soo great! Can you produce your own book? Of course you can if you really, really want to make your dream come true.